12 months parts and labour coverage with carry-in service. Whether you're uni-bound or simply want some extra fridge space in your home, this Magic Chef 2.6 cu. ft. Mini Refrigerator has the storage options you're looking for. From the convenient beverage dispenser that keeps pop cans in the door to the glass shelves that help organize your favourite foods, this compact unit has got you covered. 1.6 cu. ft. Compact Fridge in White - ENERGY STAR® A compact refrigerator is the ideal solution for smaller living quarters, wet bars, cottages, and student dormitories. This fridge by Danby can serve up 1.6 cu. ft. (45 L) of cooling area and also boasts a full-width freezer compartment for ice cubes and frozen foods. It features a built-in CanStor beverage dispenser and has plenty of room for two-litre bottles. The sleek unit comes with a valuable ENERGY STAR rating which will help keep your power bills to a minimum. 1.6 cu. ft. 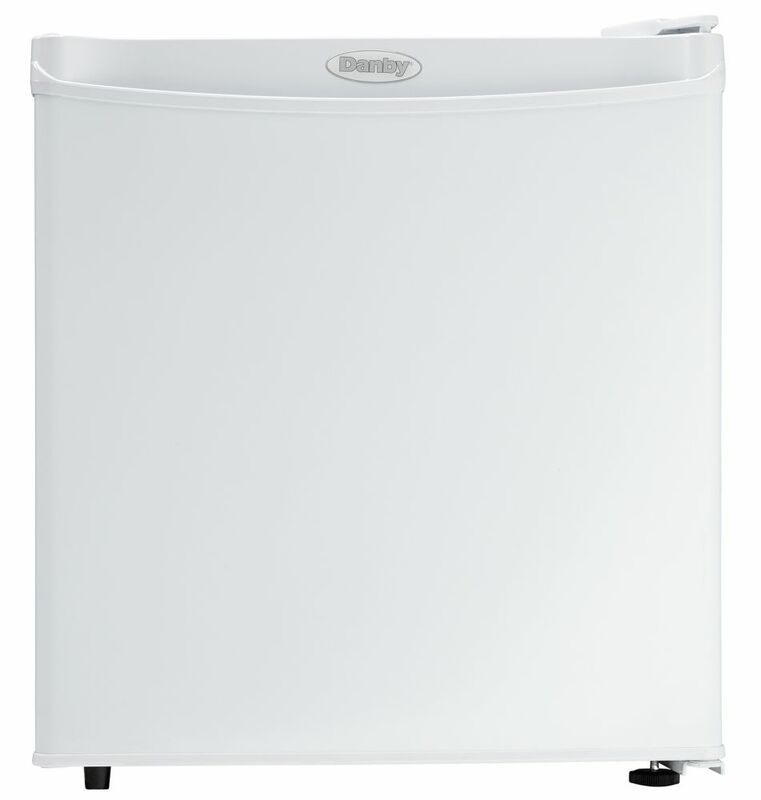 Compact Fridge in White - ENERGY STAR® is rated 3.4 out of 5 by 5. Rated 5 out of 5 by Cheybearlucky from Perfect size We needed a small fridge to keep food specifically for our dog. This was the perfect size. It was missing a part but Danby customer service sent it out right away. Rated 5 out of 5 by Patches from Really great fridge. It is great for one person since there is no space for extra person. Rated 2 out of 5 by Bustaphur from Excellent little fridge to hold drinks, etc. Works very well. Do yo have a picture of the inside of the fridge? Is the freezer compartment cold enough to make ice and keep it frozen? Hello Joe5545, indeed, the freezer compartment is cold enough to make ice and keep it frozen.